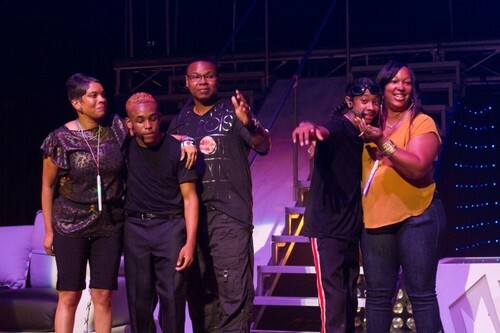 Prodigy and রশ্মি রশ্মি w/ their parents.. . Wallpaper and background images in the মাইন্ডলেস বিহেভিয়র club tagged: mindless behavior parents on stage. This মাইন্ডলেস বিহেভিয়র photo might contain সঙ্গীতানুষ্ঠান. Awwww.....when i found out prod and prince gott emotional i automatically felt bad....but princeton mom is the prettiest but all of them are beautiful!!!!!!!!!!! !